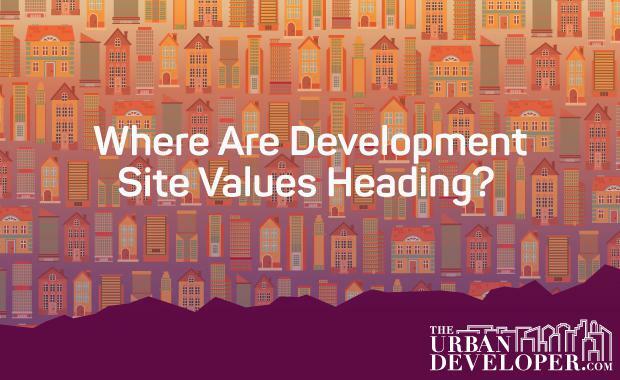 Insights Event: Up, Down or Through the Floor: Where Are Development Site Values Heading? Up, Down or Through the Floor: Where Are Development Site Values Heading? will provide property developers, investors and professionals with an in-depth discussion with four of the key movers in Brisbane’s development industry. Since the beginning of the year, a combination of a looming residential oversupply and dramatic changes to funding conditions, has quickly changed the outlook for property developers in the city. Known as a trusted barometer for the overall direction of the property market, the demand for new development sites is a closely watched indicator for all developers and investors. So what does this all mean for the value of development sites now and into the future? Can all of the hype and headlines be believed? Or has the media simply gone too far? What is the current demand for development sites in Brisbane and how has this changed in the past year? How has the residential apartment boom impacted site values in both the urban and suburban markets? How have rising construction costs impacted the financial viability of current and proposed supply? What impact is the current funding environment having on demand for sites, property values and the proposed future supply? What opportunities will exist in the next few years for cashed-up developers? Where is the ‘smart money’ heading and have I missed the boat? Tickets are limited, so make sure you reserve early! Mike Walsh / CBRE - Mike is a Director and the Head of CBRE’s market leading Brisbane Metropolitan Sales and Investments team, having previously spent eight (8) years at JLL within their Capital Markets business. Mike’s core business focuses on investment and development opportunities in the Brisbane fringe, metropolitan and CBD markets and has formed strong relationships with the markets key private and institutional groups. With close to $1billion in completed transactions in less than 5 years as a broker, Mike’s proven ability to unearth new capital and formulate tailor-made strategies which respond to changing market conditions has delivered significant value for his clients. Damian Winterburn is the national Partner responsible for Deloitte Real Estate, a specialist real estate team within Deloitte focusing on Project Funding, Major Transactions, Strategic Consulting and Development Management. Damian has over 16 years’ experience working in the property sector both in Australia and the USA, primarily around development projects. Throughout Damian’s career he has acted as the key property advisor or development manager on over $5Bn in assets. Prior to joining Deloitte, Damian founded Capland Real Estate Advisors which was a national corporate real estate advisory business which was merged into Deloitte. Diana Howes is the Founder/Managing Director of Resolution Research who have been established since 2001. Diana is a recognised industry leader with a unique hybrid of quantitative and qualitative research skills. Over the past 15 years, Resolution Research have partnered with the some of the largest property development firms in the country in the delivery of billions of dollars of successful development. Her fields of expertise include the high-density residential, master-planned communities and retirement sectors. Brendan has been with Colliers for over 7 years and is a dedicated residential development site sales expert. Brendan leads the development site sales team for greater Brisbane and focus on inner city, infill and greenfield residential development opportunities. In 2015 alone, Brendan was involved in over $400 million worth of development site sales, across not only the residential market but also the hotel, student accommodation and retirement sectors. Brendan’s experience extends to roles for major onshore and offshore residential developers as well as experience in the valuation of development sites.